The Short Track open face helmet is the result of the collaboration between Ducati and Bell, two brands that have characterised the history of motorcycling and have taken original ideas from the past interpreting them in a contemporary way. 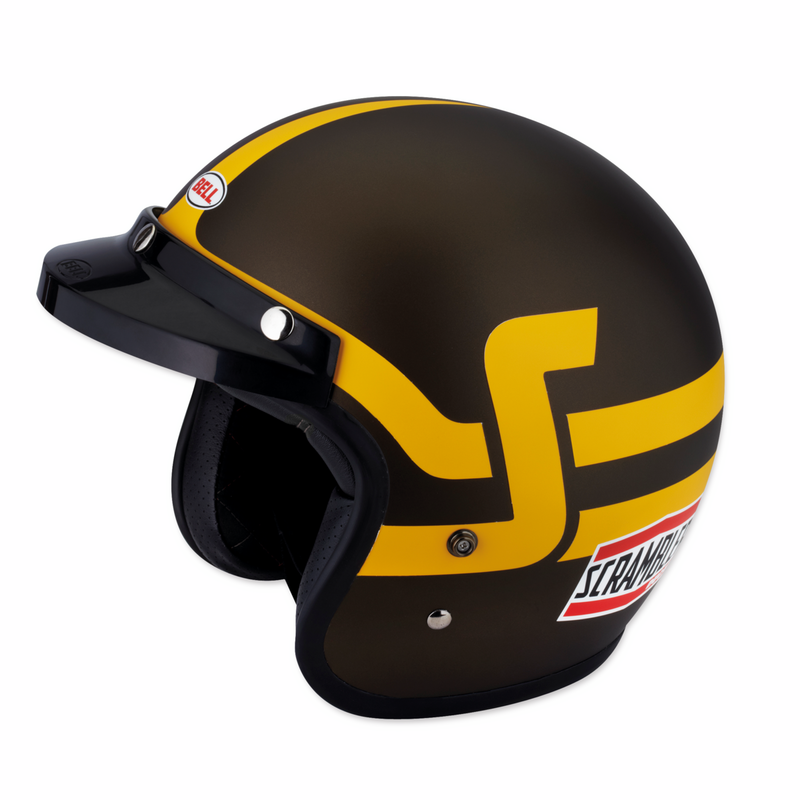 An external fibre shell, developed in five sizes, combined with an EPS interior, in five sizes, make the Short Track helmet compact and comfortable. 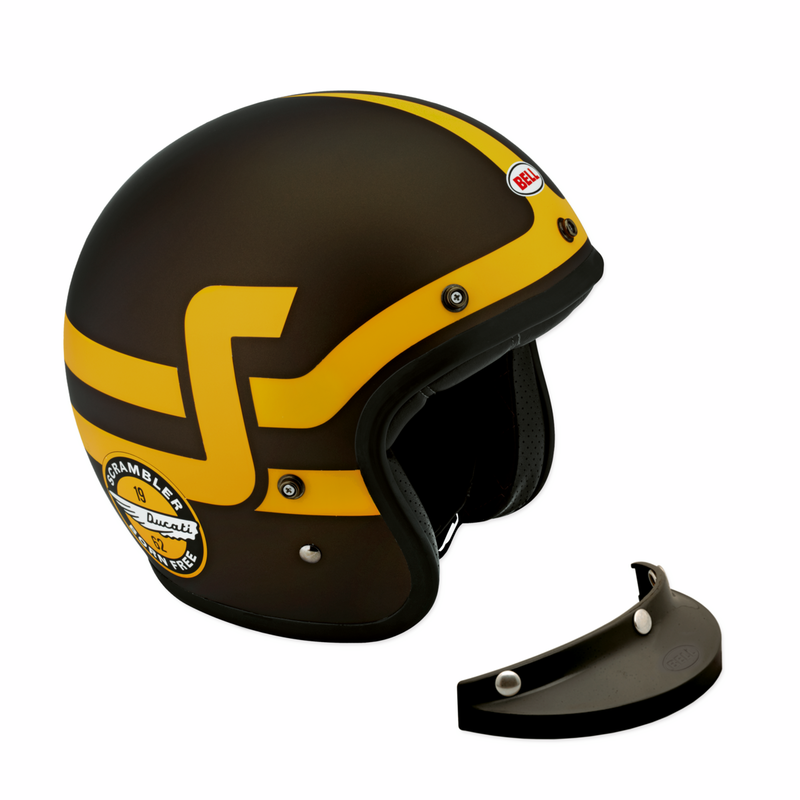 Available in black-white and brown-yellow versions, the helmet boasts graphics that immediately projects you into the Scrambler world. 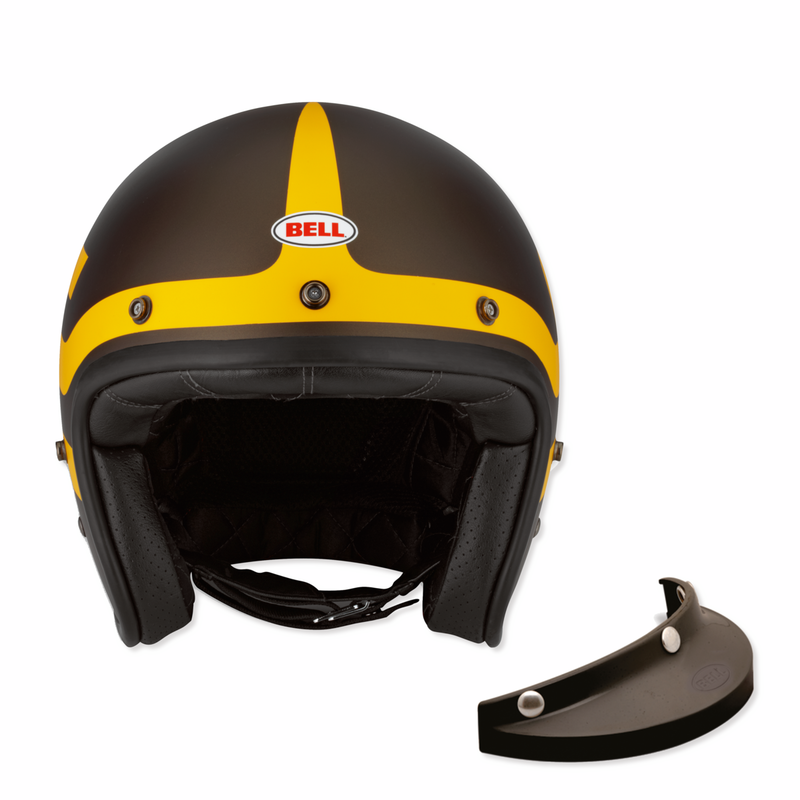 Equipped with a microfibre interior and D-ring fastener, Short Track can be completed with the sunshade visor (included) or with the Scrambler Heritage goggles (sold separately).